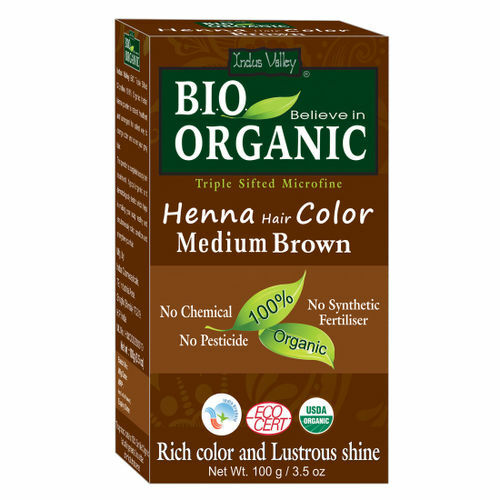 Indus Valley Bio Organic Brown Henna Hair Color is 100% organic in nature. It is 100% pure and is a completely natural hair treatment. It is made with Laws onia Inermiids (Henna) leaf powder, Indigo era tinctorial (Indigo) leaf powder and Cassia auriculate (Colourless Henna) leaf powder, the combination of these three herbs gives you black hair colour in just 40 minutes and provides completely nourishment to hair and also colours them naturally.